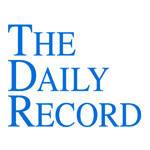 This week's Daily Record column is entitled "2012 holiday gift guide for tech savvy lawyers." First, there’s the newly released iPad mini. Although when first announced, it was met with a lukewarm response by critics, with some comparing it to an oversized iPhone, over time, many of those very same people have done a complete 180 and now pronounce their love for this new device. Lawyers in particular seem to be enamored with the iPad mini, in part because of its smaller size. Instead of carrying the larger, heavier, traditional iPad in their briefcases, many are noting that its smaller size makes it ideal for tucking into small bag or into the pocket of a man’s jacket. It’s also less obtrusive, thus making it easier to skim over pleadings or other documents while waiting for one’s turn in court. And, regardless of whether the attorney in your life has the iPad mini or the larger iPad, there are an assortment of apps developed specifically for lawyers including pre-trial apps such as DocketLaw, Mobile Transcript, iPleading, Deponent, and TranscriptPad. And don’t forget the trial apps, including Jury Tracker, iJury, iJuror, JuryStar, Trial Directory, Exhibit A and TrialPad. And don’t forget iPad cases! If you’re in the market for an iPad case and keyboard, consider IPEVO’s Typi Folio case with wireless bluetooth keyboard. This is one of my favorite cases of this type, in part because it’s very functional and so much more attractive than most other keyboard iPad cases. Another case to consider is the Geminus Genius iPad case, a case that resembles the leather bound paper calendar cases that lawyers used to (and some still do!) take with them to court. Books always make great presents and there are a number of useful and interesting books that were released over the last year that would be ideal presents for any lawyer. First, there’s Mitch Kowalski’s wonderful new book, “Avoiding Extinction: Reimagining Legal Services for the 21st Century,” which was published by the American Bar Association earlier this year. This book is about Mitchell’s vision of reinventing the delivery of legal services to conform with the 21st century world that we now live in. And for those looking for some of the best advice out there and tips on going solo, there's Carolyn Elefant's wonderful and recently updated book, "Solo By Choice 2011-2012: How to Be the Lawyer You Always Wanted to Be" and her newly released "Companion Guide." For lawyers interested in learning how to use the Internet to conduct cost-effective (and oftentimes free) investigative and legal research, there’s the “Cybersleuth’s Guide to the Internet,” written by Carole Levitt and Mark E. Rosch. This book that offers a vast amount of information and guidance for lawyers seeking to use the Internet to conduct investigative and legal research. 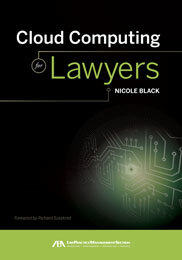 And, last but not least, my latest ABA book, “Cloud Computing for Lawyers” was published earlier this year. This book includes a thorough discussion of cloud computing fundamentals, an overview of legal cloud computing products, and offers step-by-step instructions for implementing cloud computing in your practice,including practical tips for securing your data. Finally, if these suggestions aren’t enough for you, you can always check out The Billable Hour, a website that offers unique gifts specifically tailored to lawyers and legal professionals. Nicole Black is a Rochester, New York attorney and Director of Business Development and Community Relations at MyCase, an intuitive cloud-based law practice management platform for the modern law firm. She is also a GigaOM Pro Analyst and is the author of the ABA book Cloud Computing for Lawyers, co-authors the ABA book Social Media for Lawyers: the Next Frontier, and co-authors Criminal Law in New York, a West-Thomson treatise. She is the founder of lawtechTalk.com and speaks regularly at conferences regarding the intersection of law and technology. She publishes four legal blogs and can be reached at niki@mycaseinc.com.